This is a beautiful, heart-wrenching, and ultimately hopeful episode about a tough topic: miscarriage. 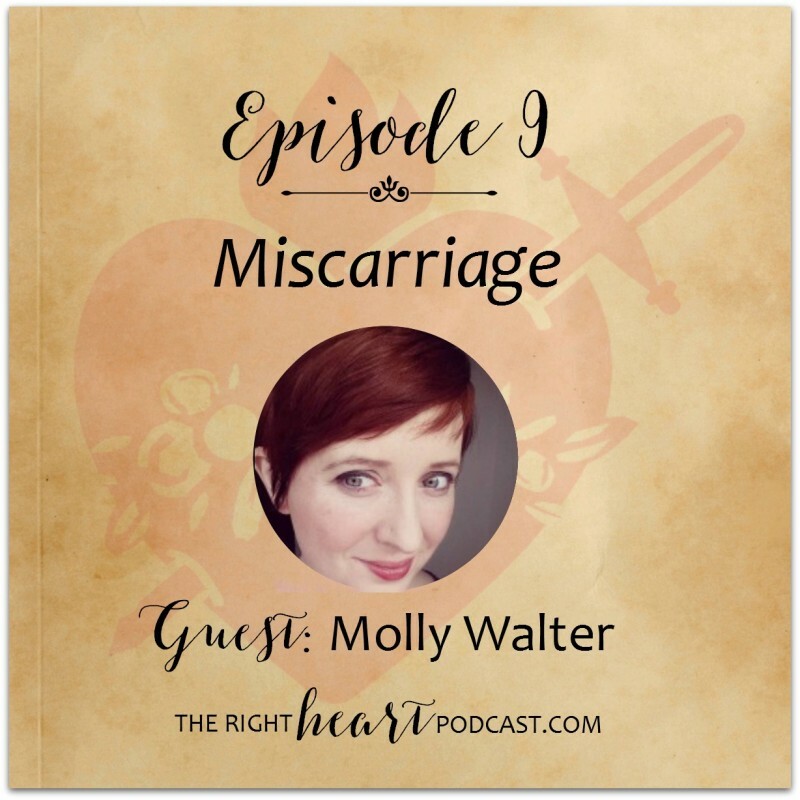 My guest, Molly Walter, is the mother of one child on earth and three children in Heaven. She writes on faith, family, miscarriage, gardening, books, and more on her personal blog, Molly Makes Do. She is also a contributor to Blessed is She. You can learn more about Molly here. This is an episode that says it like it is. Miscarriage and the journey of healing and grief that surrounds it can be messy, lonely, and misunderstood. 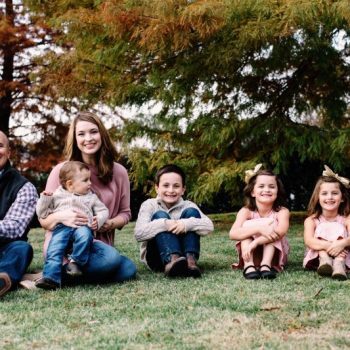 Molly does a wonderful job speaking to the issues that surround miscarriage, as well as sharing how her Catholic faith has helped her carry her crosses. Her testimony reminds us that just because it’s hard, and just because there are (many) tears, and just because we may struggle deeply with our loss longer than we or others think we should, it doesn’t mean God isn’t carrying us through it. The Shrine of the Holy Innocents – Molly and I talk about the healing experience of entering our miscarried children’s names into the Book of Life, a ministry maintained by the Church of the Holy Innocents in New York City. At the shrine a candle is always lit in memory of the unborn children, and all day long people stop to pray for them. On the first Monday of every month, a special mass is celebrated in honor of the children and for the comfort of their families. After you enter your child’s name using the online form on the website, you can opt to have them email you a special certificate with your child’s name on it. I felt that my interview questions for Molly would be helpful to include in the show notes for this episode. We covered just about everything in these questions in one way or another. What has your journey been as a mother? What has the process of grief looked like for you after each of your pregnancies? How has passing your would-have-been-due dates felt? What has been most difficult when friends and family around you get pregnant? How have you dealt with that spiritually and emotionally? How do you want family and friends to act around you in those situations? What are some of the best and worst things people can say to a woman or couple who has recently experienced a miscarriage? 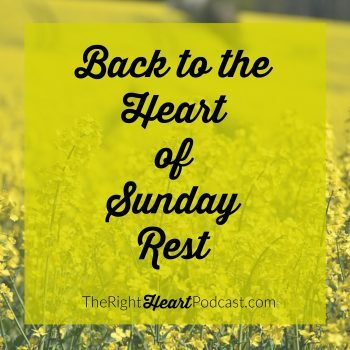 Let’s talk about the “dreading to be happy with what we have” – What has that journey looked like for you as you contemplate whether or not you will be blessed by any more children? What has miscarriage looked like for your marriage? How has your husband coped with your losses? What special lessons have you learned about what it means to “be open to life”? What has God done in your heart over these past few years? What truth has He spoken to you and how have you felt His peace in your life through these struggles? A friend of mine reminded me recently that our struggles are like the “desert stories” of the Bible–when we make it through the desert, we come out “a completely new creation.” How are you a new creation through the cross of multiple miscarriages over the past few years? What can you speak to the idea of trusting God and His plan for you, no matter what? What word of truth and hope would you speak to a listener who has also struggled with miscarriage? Thank you for sharing your pain and suffering with us. As I listened, I felt myself sighing in relief, finally finding women who understand what I’m going through. In my opinion, miscarriage is a silent suffering, even in Catholic circles, and infertility even more so. Thank you for clarifying the “God has a plan” comments – that can have damaging effects when people say that without taking the time to theologically unpack it. God PERMITS our suffering, but He is not the author of it. He’s the author of life, not death. This has been very helpful to me as I grieve my 2 years of infertility and then miscarriage of my first pregnancy. The short book “Where the Hell is God?” has also helped guide me during this time. Thank you again for your vulnerability. Trista, you are so welcome. Peace be with you. Thank you for sharing your experiences and reflections, Molly and Erin. I think it is fruitful even for women who are not wives or mothers to meditate on some of the things you said, because each of us has hopes and expectations for life which God may not grant in the ways we think we want or foresee happening. We can think of “open to life” very literally: Yes, open to LIFE, open to living the experiences God allows in His permissive will, open to the people He gives us and the circumstances in which we find ourselves. I think that most of all, God wants us to surrender our control to Him. It’s perhaps the hardest and most necessary process in our sanctification. Of course, my heart breaks for each of your losses, and I’ll pray for your comfort and needs. You shared some very tender parts of your souls. Caitlin Marshand expresses a lot of what Molly said in her NFP Week article today, “And A Sword Shall Pierce Through Your Own Soul Also.” I found it helpful, personally, even though I am not a mother. Living with an open heart is each of our calling and can be a great and sometimes painful challenge.